Wireless internet offers many conveniences to us all on paper but the reality is that wi-fi signals actually come with several burdens to compensate for. While long ethernet cables can seem tacky or cluttering, they still tend to offer stronger and more stable connections for many. To make things even more inconvenient, many routers found on the market or the ones distributed by ISPs don’t even have the best internal or external antennas available. 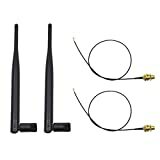 If you too have been dissatisfied with your wireless internet experience, then it is time for you to consider picking up a long-range wi-fi antenna. As I’ve already mentioned – or perhaps as you’ve already experienced for yourself with your own products – mainstream routers don’t always get the job done. What a long-range wi-fi antenna does is add a big improvement in signal range and power. Most long-range wi-fi antennas are used as extensions to your router. Depending on model compatibility, you can simply screw them on or plug them in and instantly receive a boost in wireless performance. Arguably the best aspect of purchasing a long-range wi-fi antenna is that they are surprisingly cost-efficient. Buying one is such a great investment because it is so much cheaper than opting for a replacement router or modem (Check out my favorite routers if you do opt for a new one). It’s also usually a better idea to upgrade your router with a new antenna than to upgrade an individual device or computer. This is because when your router gets upgraded, everything in your home receives those benefits simultaneously. Check out some additional tips to improve your Wifi performance. There are only a few things to watch out for when purchasing a long range antenna. Several factors and different categories make long-range antennas distinct and knowing which one will be compatible with your interests is important. 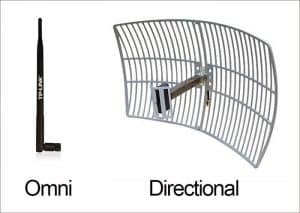 The first thing you should learn is that when it comes to acquiring a signal antennas fall into one of two categories: directional and omnidirectional antennas. A directional antenna is designed to acquire a very strong signal by being pointed in one direction. An omnidirectional one can acquire a good signal from 360 degrees but won’t be as strong as their counterpart. It’s hard to say which category is better because they both have their pros and cons. Speaking of directional signals, there is a notion you may have heard of before called polarization. It sounds complicated (because it is) but the good news is that you don’t need to know too much about it. Antenna polarization refers to how a signal is propagated and sent out. There are several categories of polarization including linear and circular, or vertical and horizontal. Like direction, polarization is one of the fundamental aspects of the science of antennas and electric or magnetic fields. All we need is for the polarity of our antennas to match the signals we want to receive. Orienting a directional antenna can improve polarity but this is typically unnecessary for omnidirectional ones as far as wi-fi signals are concerned. Gain is the last important characteristic of long-range wi-fi antennas and it is something you can easily verify for yourselves. Every antenna has a parameter measured in decibels that refers to this notion of gain or sometimes called power gain. 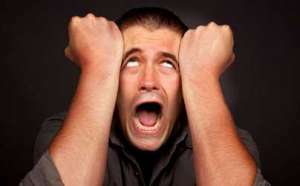 Usually, it will be set in dBi meaning isotropic decibels. The gist of it is that the higher the dBi value, the stronger the range and signal will be. While this takes care of the more complicated aspects of long-range wi-fi antennas, all buyers should be cautious to purchase a device that is compatible with their router or computer. Below are our top picks for the best long-range Wi-Fi Antennas. The first long-range wi-fi antenna on this list is the Alfa 9dBI WiFi Booster. This is a great choice to start off with because it works well for both amateurs and experts in wireless technology. The antenna itself is 15 inches tall but is very thin which allows it to be placed in virtually any location indoors. Despite its pointed structure, the Alfa WiFi Booster is actually an omnidirectional antenna. One great thing you can do with it is mount it on a certain platform to better pick up wireless frequencies. This will work best if you know where the signals are coming from and if their polarity matches this antenna, but it has resulted in signal improvements for people. The gain is +9dBI which isn’t the greatest out there but will still offer a noticeable improvement over most stock routers, if not all of them. Even by just plugging it into your router and doing nothing else, you will still receive a nice boost in signal strength. Considering how cheap it is you are definitely getting your money’s worth. Add on the fact that installation is extremely easy and you have yourself a great update to virtually any router. My only complaints are that the cable is a little too short and the magnetic base holds very little traction. This made it initially annoying when trying to orient the Alfa antenna but in the grand scheme of things they were just minor inconveniences that did not make me regret the purchase. The TP-Link 2.4GHz Antenna is a moderately more versatile and more powerful long-range wi-fi antenna than the previous one. This is a great choice for people looking for a slightly more complex installation that hones in on one specific source of great signal strength. The power gain is 14dBi and it is indeed a directional antenna. That essentially means that you can get a great signal from one or maybe two sources coming from one direction. What I really enjoyed about this long-range wi-fi antenna was that it could be used indoors or outdoors. 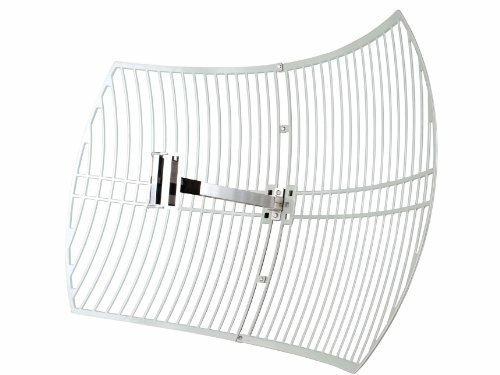 The range that this antenna can get is impressive, especially if mounted outdoors or on the inside of a garage wall. The antenna comes included with a set of mounting tools so that you can easily set it up near the top of any wall or even outdoors on a roof. With this setup, you could pick up wireless signals from roughly one mile away. My biggest complaint is that this isn’t a dual-band antenna. You can only use it with routers and incoming signals that have 2.4GHz frequencies. 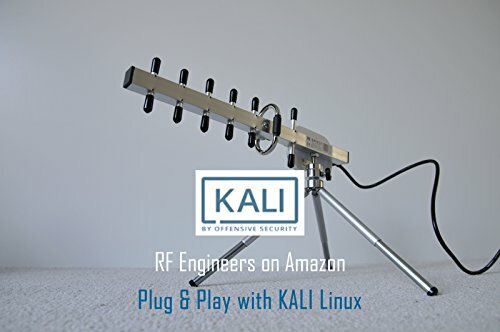 It can still work with dual-band routers but if you are specifically trying to increase the strength of a 5GHz signal then this antenna just won’t be for you. The TP-Link 2.4Ghz also comes in 6dBi and 9dBi versions but this 14dBi iteration gets my recommendation due to its range and strong gain capabilities. The next long-range wi-fi antenna I want to discuss is a little different from all the others on this list. These antennas are usually plugged or screwed in directly into your router but the TurboTenna actually has a USB jack to be plugged into your computer instead. The way it works is that the TurboTenna NextG acts like a very powerful wi-fi adapter that can pick up signals from far distances. In my case, I was able to hone in on signals up to one or two miles away. The range is astonishing and the fact that this is a directional antenna only makes that feature better. I personally love the look and build quality of this device. It comes with a tripod and can be aimed and oriented very easily into any direction. It looks like a machine out of a sci-fi movie like some sort of laser cannon and I personally love that look. While this device is pricey and can only pick up 2.4GHz, it is still an excellent long-range wi-fi antenna and I absolutely recommend it to people who are tired of relying on modern-day routers or modems. Reportedly, some users need to download drivers to be able to get this device connected to your PC or laptop. I had no such issues and it seems that the majority of people also had no problems of this kind, but beware just in case. 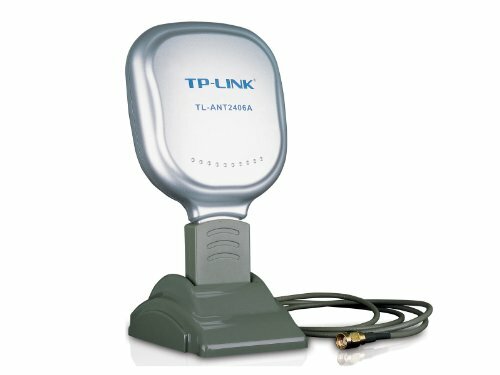 The second TP-Link antenna I want to bring into the spotlight is the more powerful of the two. It’s also the most powerful long-range wi-fi antenna on this list period. The TP-Link Directional Grid Parabolic Antenna is designed for outdoors installation only and is a directional antenna with good range and amazing power gain. The biggest problem with a device like this is that the installation will not be so easy. It needs to be mounted onto your roof securely. While it is weather resistant, you also need to make sure that it will not be knocked down by strong gusts of wind, otherwise, it will surely be damaged or broken in the fall. On the plus side, 24dBi is a remarkable amount of gain. You can acquire some top tier signal strengths from two to four miles away. If you want the best in power and range and are willing to spend extra money on it and extra time on its installation then I can’t think of a better choice than this. The Highfine Dual band antenna is similar to the first one on this list. 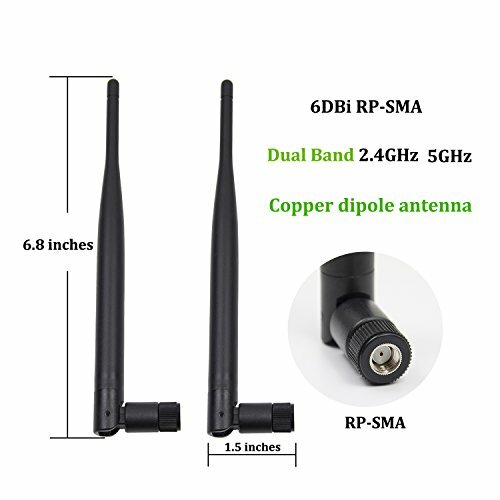 The major difference is that instead of getting one 9dBi antenna you are getting two 6dBi antennas. If your router has enough space for two RP-SMA plugs then you might want to consider this option instead. The Highfine is an omnidirectional antenna that doesn’t quite have the range of the Gadgets World but has more gain. If you want to squeeze more power gain out of a closer source then you would be better off with this option which is in the same price range. Installation is very easy and not only can it be plugged into your router but can also work with some PC motherboards and custom video gaming console units. These are a great buy for anyone looking for a simple set up or an upgrade to a customized computing device. The final antenna on my list today is the Alfa single band swivel antenna. It is technically an omnidirectional antenna but due to its clever swivel mechanism, it can still be oriented to manually improve signal strengths. It essentially offers the best of both worlds of directional and omnidirectional devices. 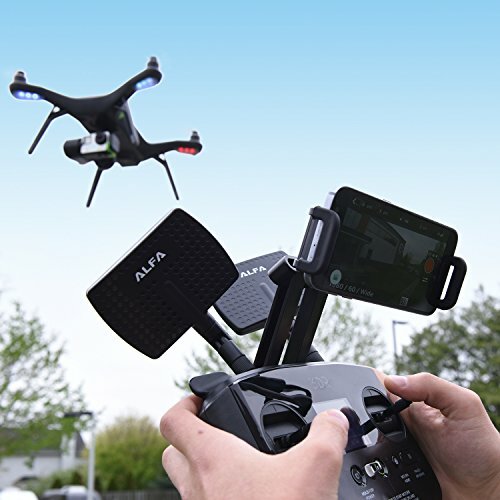 Not only does it improve gain and range of routers but curiously it is used a lot to boost the signals of remote-controlled drones. Anyone looking to fly their drones much farther than usual would love to own this Alfa antenna. The swiveling feature is by far my favorite part of this antenna. Good range is always guaranteed but being able to easily manipulate the device to pick up frequencies from specific directions is a feature that I wish more antennas would have. This intelligent design alone is the reason why I placed it on my list of the best long-range wi-fi antennas. Thank you for reading my list of the best long-range wi-fi antennas. Each one of these devices has something great to offer in improving your wireless internet lifestyle and I know that you’ll be very satisfied with whichever one you pick.